Style and Accessories Director for Marie Claire Taylor Tomasi Hill was spotted wearing this batik skirt from Thakoon. 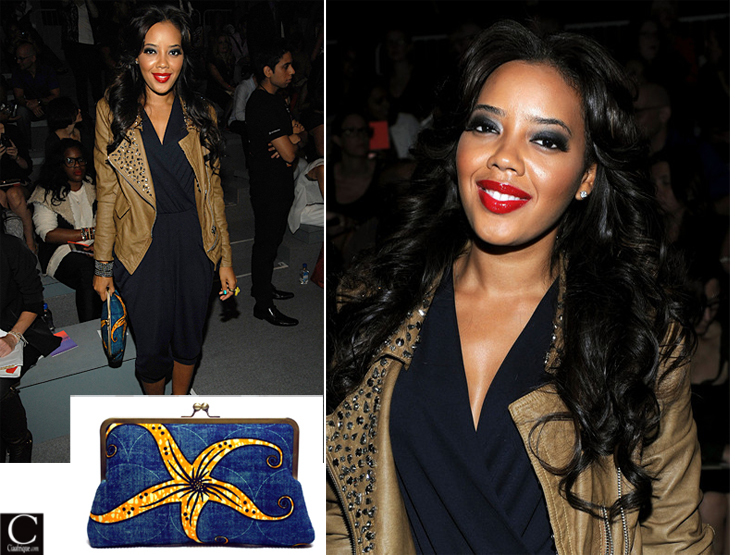 She must love recycling as she wore this before at the 2011 Brooklyn Museum Artists Ball. 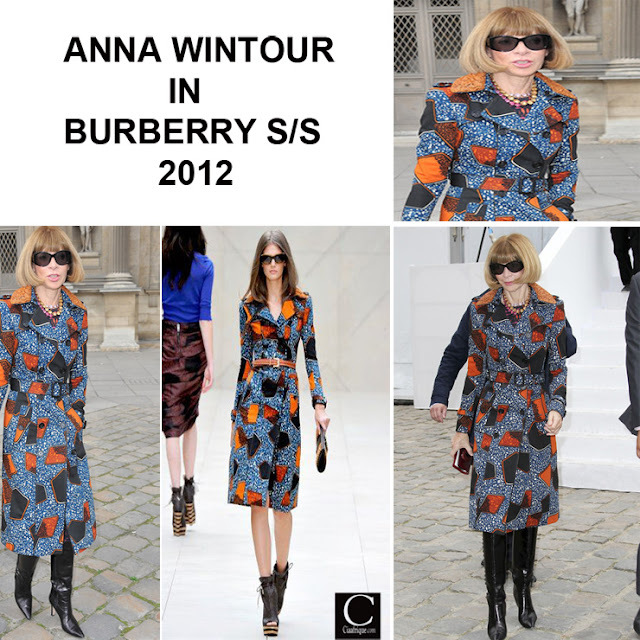 Vogue Editor Anna wintour ( no smile as usual) is the first celeb to wear one of the pieces from Burberry S/S 2012 collection during the LV show in Paris.